Expedia has some excellent Mărăcineni packages ready for you. Bundling your flights and lodgings is one of the easiest ways to save cash on your upcoming adventure. Our extensive global database allows you to look through more than 321,000 properties worldwide and 400 partner airlines. With such a terrific range of options, planning your dream vacation will be a cinch! Don't worry about postponing your plans, as we don't charge additional cancellation fees for almost all of our reservations. It's nice to just stroll around the streets in a new place, but sometimes it's a wise move to have a plan. Grab your travel itinerary — we have some wonderful ideas for your impending Mărăcineni vacation. If the kids are tired of sightseeing and need to run around a bit, why not take them on an outing to Republic Park? It's a great place to play tag and chuck a ball around. There's a great range of things to do in and around this destination. Choose a comfortable vantage point and observe the world go by at Parcul Expo. If you feel talkative, this enduring gathering point is also the perfect place to have a friendly conversation with locals and like-minded adventurers. Still got time to spare? Oh to be a fly on these walls! Picture the significant deals and heated conversations that have occurred at Pitesti City Hall. Take a tour and get an up-close-and-personal look at this seat of government. Finding somewhere comfortable to stay is often the key to the ideal cheap vacation or luxury getaway. 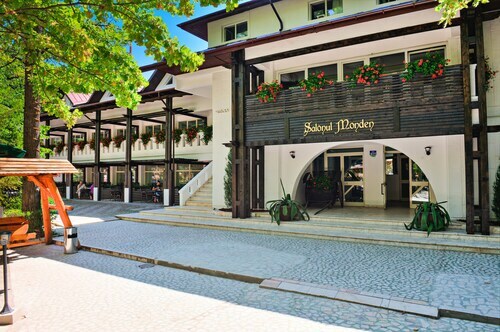 With just 2 accommodations in Mărăcineni, make sure you book as soon as you've locked in your dates. 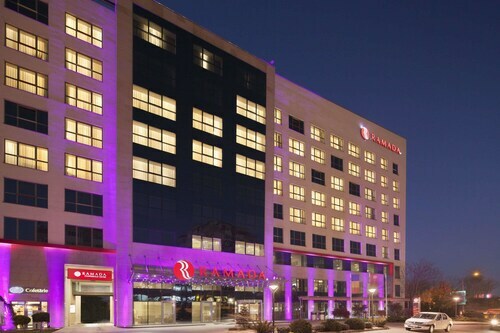 Our recommendations are the Ramada Pitesti (Calea Bucuresti Nr 31) and the Hotel Arges (Muntenia Square 3). They come with fantastic reviews and first-rate amenities and services. Sitting 65 miles (105 km) away, Henri Coanda International Airport (OTP) is the nearest terminal to your destination. Buckle up that seat belt and put your seat in the upright position — your wonderful trip to Mărăcineni is about to start! Located in the heart of Pitesti, this hotel is within a 10-minute walk of Pitesti City Hall and Republic Park. Parcul Expo is 0.6 mi (1 km) away. Situated in Pitesti, this bed & breakfast is within 3 mi (5 km) of Pitesti City Hall, Parcul Expo, and Republic Park. Piscani Parish and Viitorul Stadium are also within 32 mi (52 km). 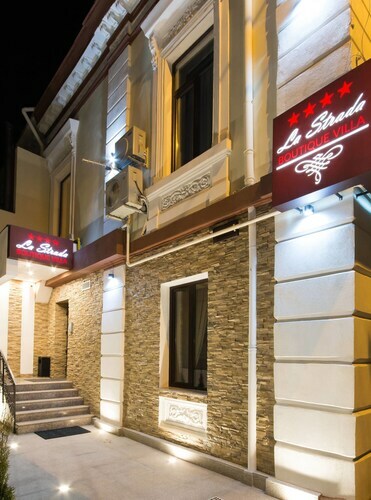 Located in the heart of Pitesti, this hotel is within a 10-minute walk of Republic Park and Pitesti City Hall. Parcul Expo is 0.7 mi (1.2 km) away. Situated in a provincial park, this hotel is within 3 mi (5 km) of Parcul Expo, Pitesti City Hall, and Republic Park. Piscani Parish is 32.3 mi (52 km) away. 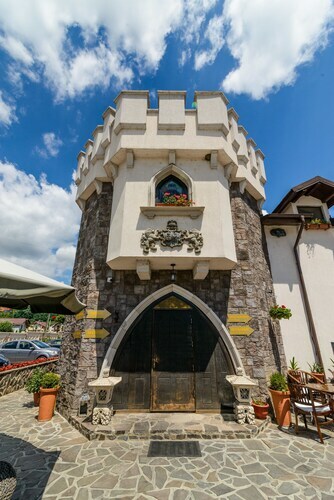 Situated in a rural location, this pension is in the same region as Bran Castle and Peles Castle. Located in the heart of Pitesti, this hotel is within a 10-minute walk of Parcul Expo and Pitesti City Hall. Republic Park is 0.9 mi (1.5 km) away. 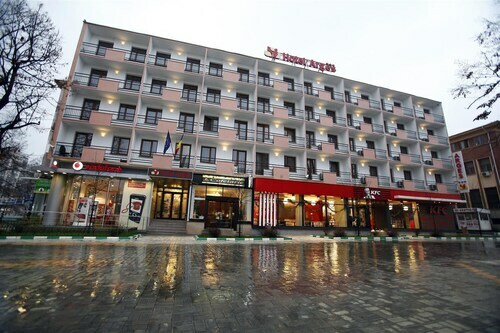 Situated in Ștefănești, this hotel is 2.8 mi (4.5 km) from Parcul Expo and 3 mi (4.8 km) from Pitesti City Hall. Republic Park is 3.5 mi (5.6 km) away. This apartment building is located in Bucharest (Cotroceni), close to Romanian National Opera, Palace of the Parliament, and Romanian Athenaeum. Also nearby are University Square and Cotroceni Palace. Tue., 21 Jan. - Mon., 3 Feb. Mon., 21 Oct. - Thu., 21 Nov.